The first set of Performance Indicators in Higher Education in the UK 2009/10 are published today. The full tables, showing the indicators for each UK HE institution, are available from here. Summary tables showing statistics for the whole UK can be found here. 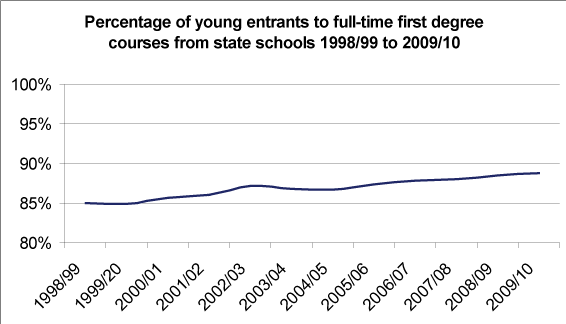 More on widening participation of under-represented groups. The indicators are designed to provide information on the nature and performance of the higher education sector in the UK. They contribute to public accountability, and ensure that policy decisions are made on the basis of consistent and reliable information. The Performance Indicators are specified by the Performance Indicators Steering Group (PISG) made up of funding bodies, government departments and representative bodies. They are calculated and published on behalf of PISG by HESA. Module completion rates for part-time students at Welsh institutions. Most of the areas above show an indicator for each institution and a benchmark. The indicator shows how well the institution performed. The benchmark is an adjusted average based on the characteristics of each institution. Benchmarks are adjusted according to the subject mix offered, age profile of students and qualifications of students on entry. To decide whether it is meaningful to compare two institutions – for example it probably isn’t worth comparing a specialist art college with a large university offering a wide range of subjects. Enquiries regarding how the Performance Indicators are defined and specified, and widening participation policy, should be addressed to PISG via the HEFCE Press Office telephone 0117 931 7363/7431. Full text and tables of Performance Indicators in Higher Education in the UK 2009/10 can be found on our website from Thursday 31 March 2011 from 09:30. As in previous years, the indicators are set out in separate tables. Not all higher education institutions feature in every table. 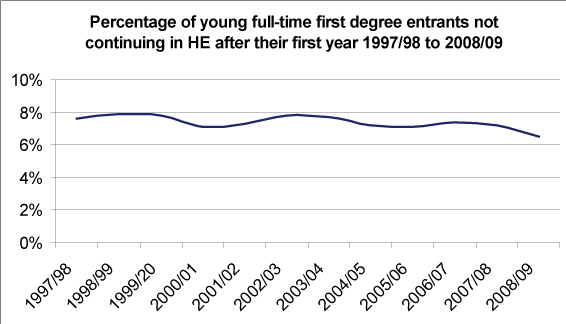 Performance Indicators prior to 2002/03 have been published by the Higher Education Funding Council for England and are available at www.hefce.ac.uk/data/pi/.